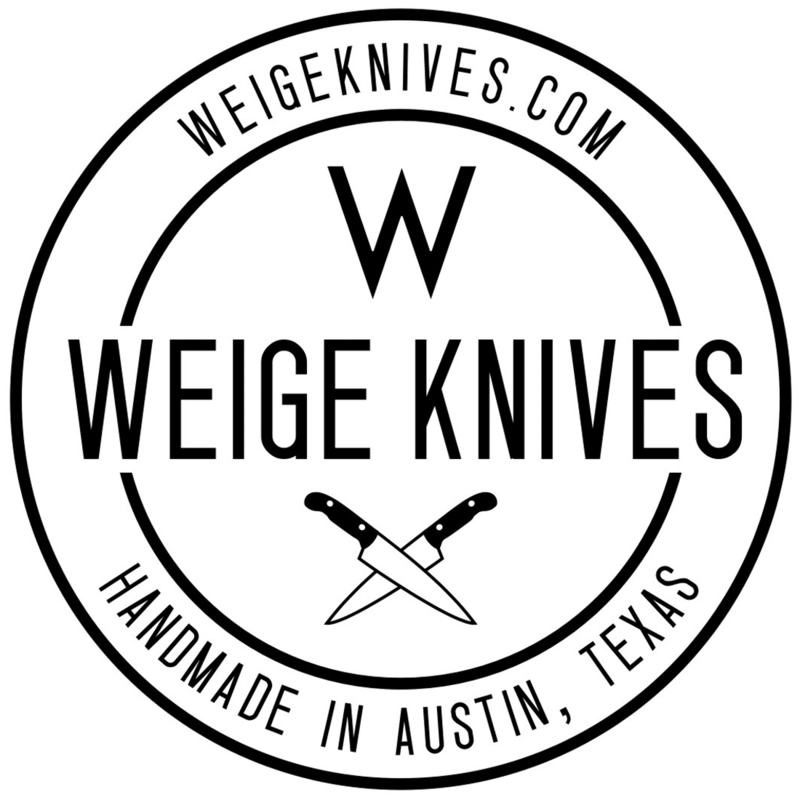 Custom set of knives handmade here in Austin, TX. 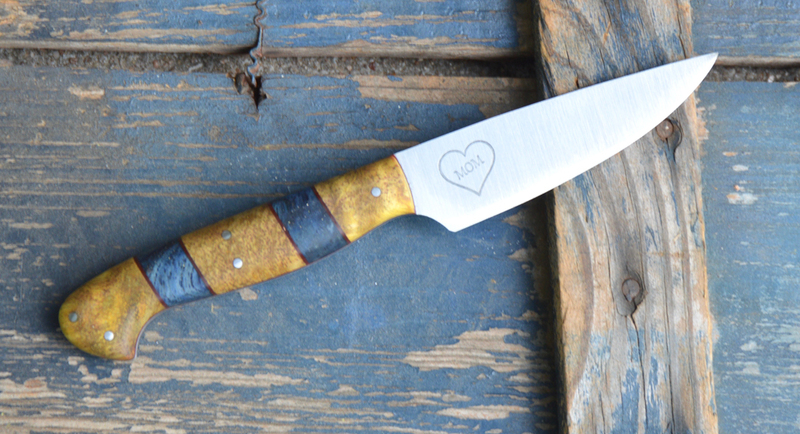 Home/Finished knives./Custom set of knives handmade here in Austin, TX. 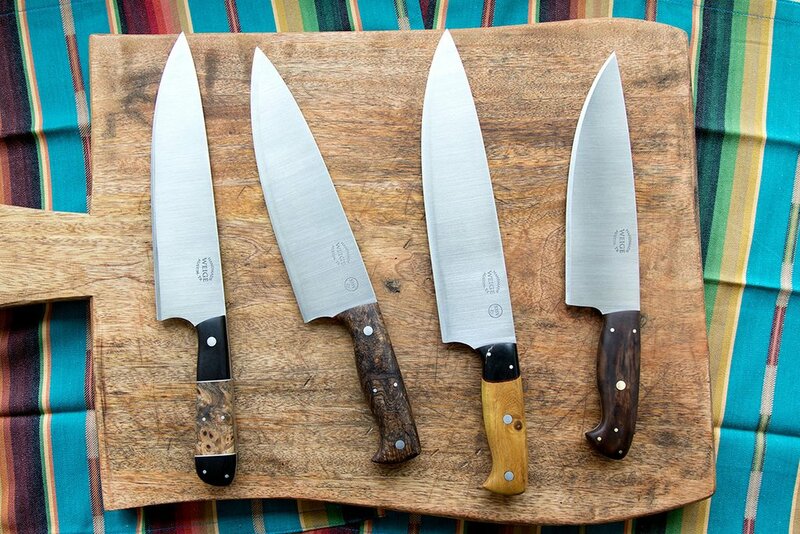 We finished a set of knives for a chef in New York this week. We’re excited about this new cut of stabilized maple burl we received. We bought a large block and cut it into 10 blocks for knives and used 3 on this set. 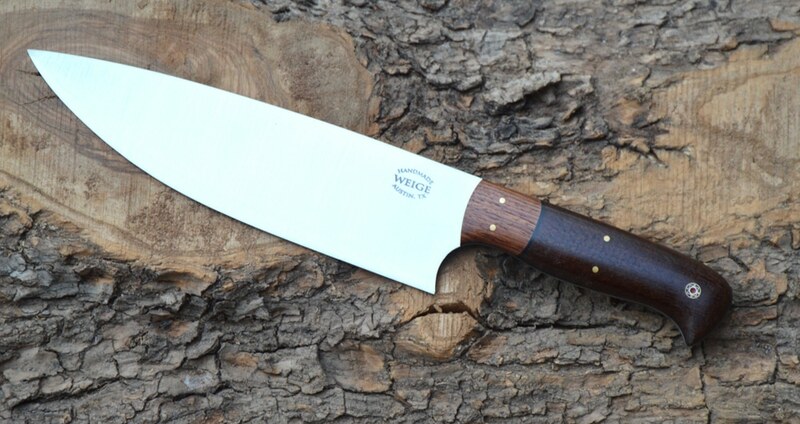 We have a 12.5″ chef knife, a 10.5″ chef knife and an 8 inch paring knife. 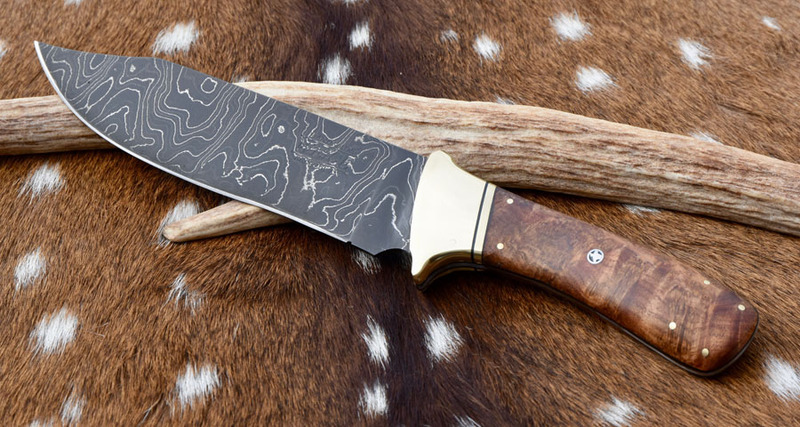 These are the overall lengths of the custom knives. We used copper and brass handmade mosaic pins and the grips were built to the hand length of the chef.